Me And You And A Dog Named Boo: Add more language to Pebble Time voice dictation service. 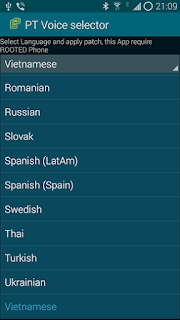 Add more language to Pebble Time voice dictation service. Just got a new Pebble Time Steel last week and found that voice dictation on it is awesome. The only annoyed thing is its voice dictation doesn't support much language including my native language (Vietnamese). 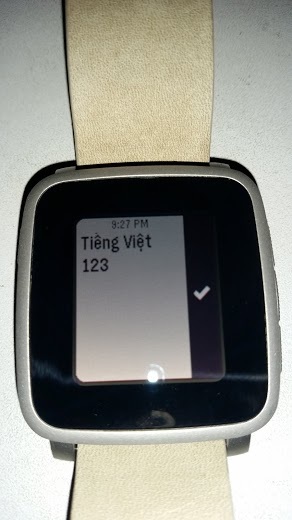 At first thought maybe Pebble uses Google voice API but after a quick check, I got this news about PT voice engine and voila here is their demo: it supports many more languages than the Pebble App allow us to choose. Now the tweak begins. Having used adb shell on my Android phone, I figured out that the Pebble Time app has saved the configuration in this SQLite file /data/data/com.getpebble.android.basalt/databases/pebble, in table "preferences" and the key is "voice_language". Now we can change the language to the one which matches with this document ( for example "eng-USA", "vie-VNM" ) and reboot. Ehhmm, too much technical things? 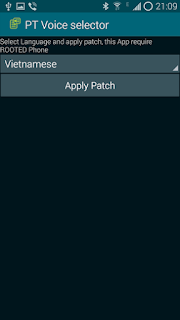 To make it easier for most users I created a small Android app which you can download here. 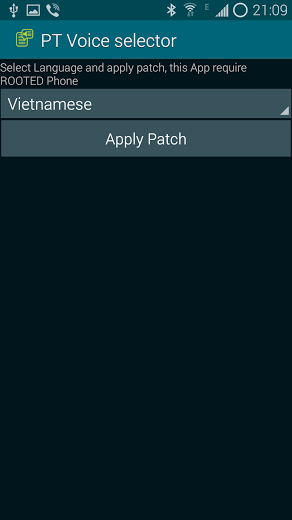 (Remember, you need rooted Android phone to make this work, I will public source code to Github later). Note: When you use custom voice language and open Pebble Time app --> Settings, It will crash because it doesn't understand that language. All you need to do is use my app and change back to English, everything will be normal again. 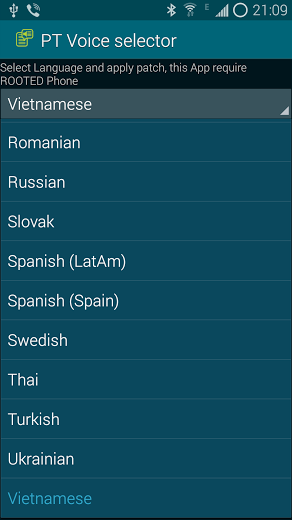 After that you can select back to your language with my app. New Pebble app version now worked ok with this tweak. 2016/05/29: I updated my tweak app to support MarshMallow and environment doesn't have busybox. hi, i have a pebble time and i use iphone. i tried change voice language but i dont find this file (in ifile). Are you have got any idea for iphone ? Sorry, this program is for Android only. Since i don't have IPhone to try out so don't know if it possible on IOS. Chào bác. Tính năng này thế nào rồi bác? Bác có thể vào facebook Hội Pebble Việt Nam trợ giúp anh em được không? Cảm ơn bác! this would be great and thanks in advanced for making this possible! I have installed the file on my rooted Phone and selected my language (Dutch). I doesnt seem to do anything. Am i doing something wrong? mmmh i found the required field in de database. The value of the attribute is: 'nld_NLD' . This is according to the website of Nuance Developers you linked to. Do you have anymore thoughts or suggestions? Im sorry for all the Spam, but i figured out how to get it to work! I installed the SQLite Editor app and changed the value my self. Amazing work my friend. Thank you so much from! Need to restart the phone to Pebble app reload the config. Anyway glad you like it.